This American Flag Women’s Printed Shorts is super cute, high quality and vibrant colors. 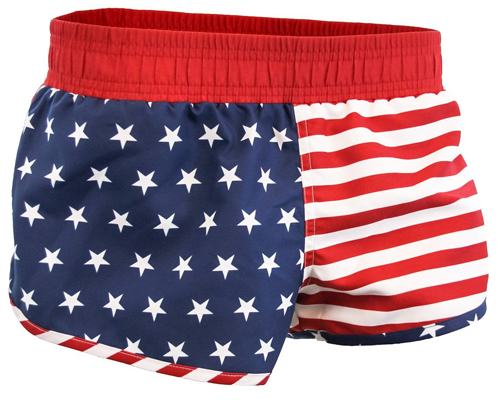 All over American flag print design and elastic waist. It’s great for summer and patriotic holidays. You can wear them as swim shorts or athletic shorts. The available sizes are small, medium, large and X-large. About 47% of customers said that this shorts runs small whereas over 40% said fits as they expected. So, if you want to order a shorts you should consider what is your size and weight. 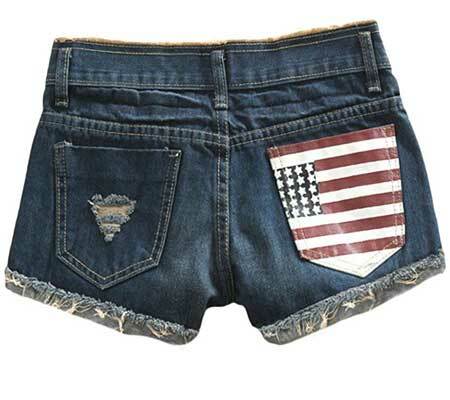 Here are several best womens American flag denim shorts to shows patriotic spirit. All are beautiful, cut and standard quality. Perfect for Summer Parties, Memorial Day, July 4th, or Labor Day. 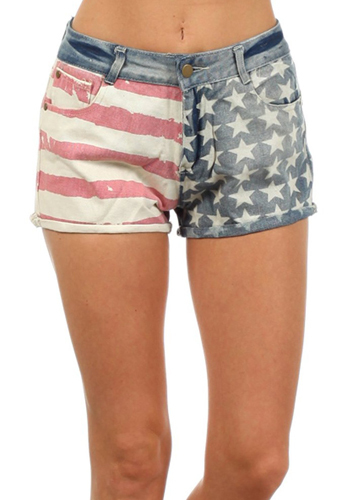 This Women’s USA American Flag Denim Shorts is perfect for 4th of july. Show off your patriotic sexiness with this American flag shorts that have button front closure with zipper fly, front and back pockets, and a vintage worn look. Great for summer time. Perfect Denim Shorts for Pool Parties, Summer Vacays and Festivals! The shorts run smaller size, so order one size up than your regular size. The denim short is good looking and comfortable. It is better to order one size up so that it would fit great. American flag printed on front panels with stragically placed distructed patches. these denim shorts have a Frayed cut-off style.